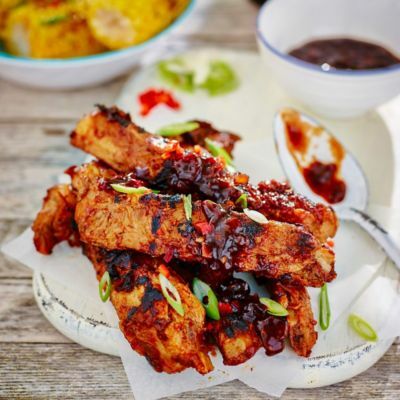 We’ve probably all got a picture in our heads of the perfect summer barbecue – fantastic weather, spending time with friends and family, everyone relaxed and enjoying tasty food and drink and great company – but there are times when the reality fails to live up to it. If you’re the host, you can end up on the sidelines, preparing, cooking and serving with little time to speak to your guests, and if you’re a guest the food can sometimes be a little… uninspiring. But now there’s another way to cook outdoors, one that puts an end to exiled hosts and red-or-black burger roulette: the social barbecue. Gathering both hosts and guests round a tabletop charcoal grill so they can cook their own food, it offers a fantastic fusion of al fresco dinner party and campfire cookout. 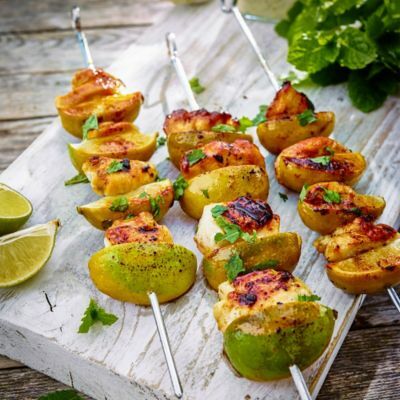 From classic burgers and sausages to the sizzling steaks and seafood of surf ‘n’ turf, kebabs and koftas to sweetcorn and flatbread… just prep at your leisure so when your guests arrive all you have to do is bring delicious, grill-ready food to the table. 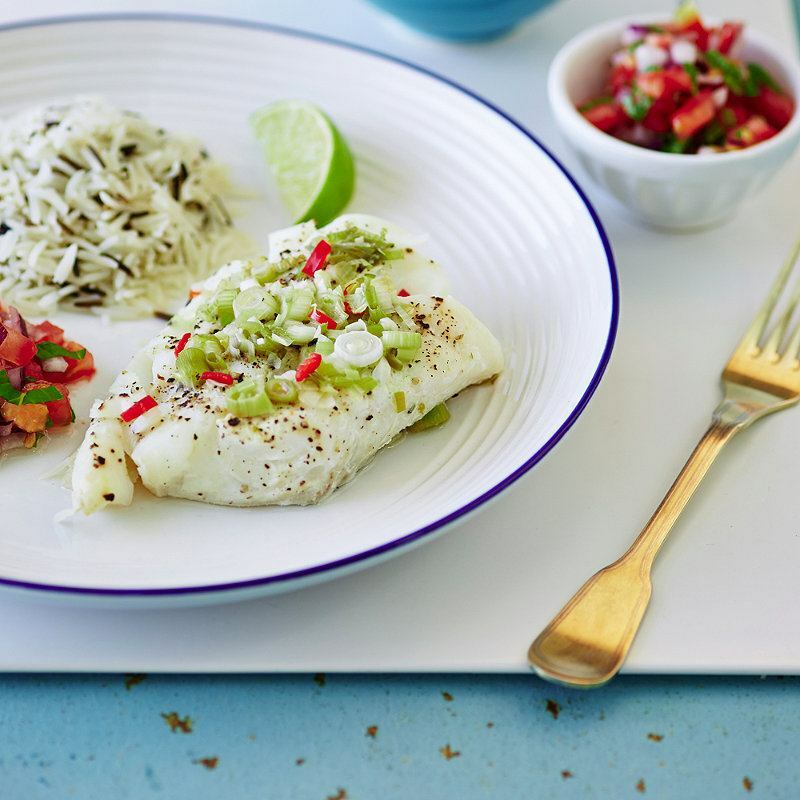 Hand round the tongs and skewers and everyone can choose both what they eat and how they cook it, all while seated at the table and without having to perform the glass-cutlery-paper-plate juggle. Whatever the size of your garden or your party, there’s a social barbecue to suit. Large enough to charcoal grill food for six, the Social Grill is ideal for outdoor entertaining, with a long, thin shape that makes it easy for everyone to reach their food. 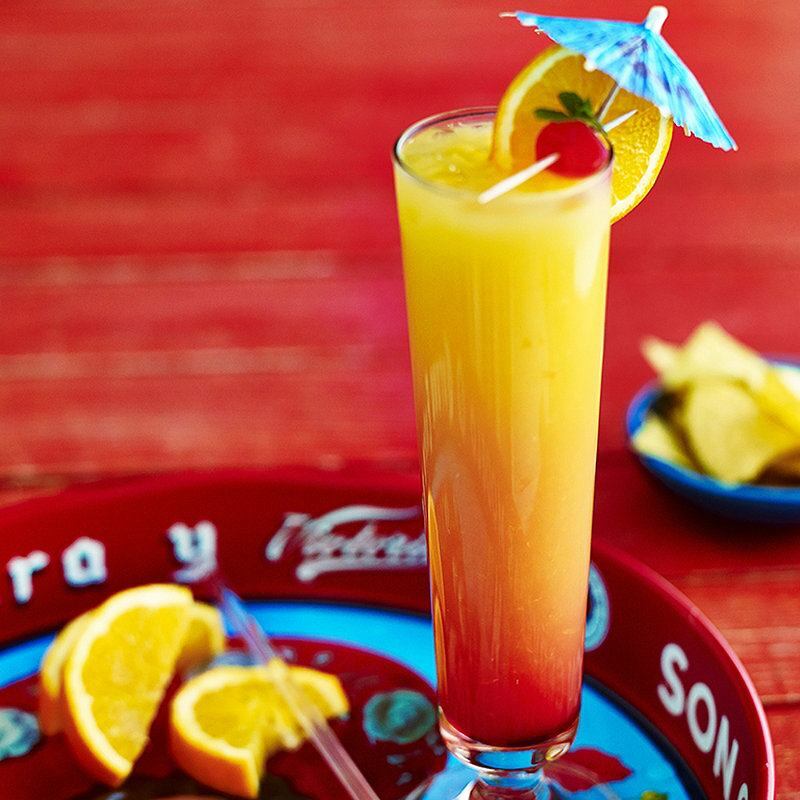 For a garden party with a difference or a larger barbecue bash, you could even line up two or three down the middle of your table so everyone can still get involved. 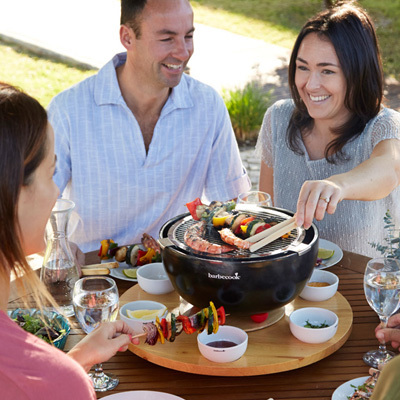 The nifty round tabletop barbecue from Barbecook® is ideally sized for more intimate meals, and for extra family-friendliness the double-walled ceramic bowl stays cool to the touch. If you want to make the experience even more interactive, there’s a also a matching Rotating Table that comes with six serving bowls to fill with your favourite dips and sauces – just spin to share. 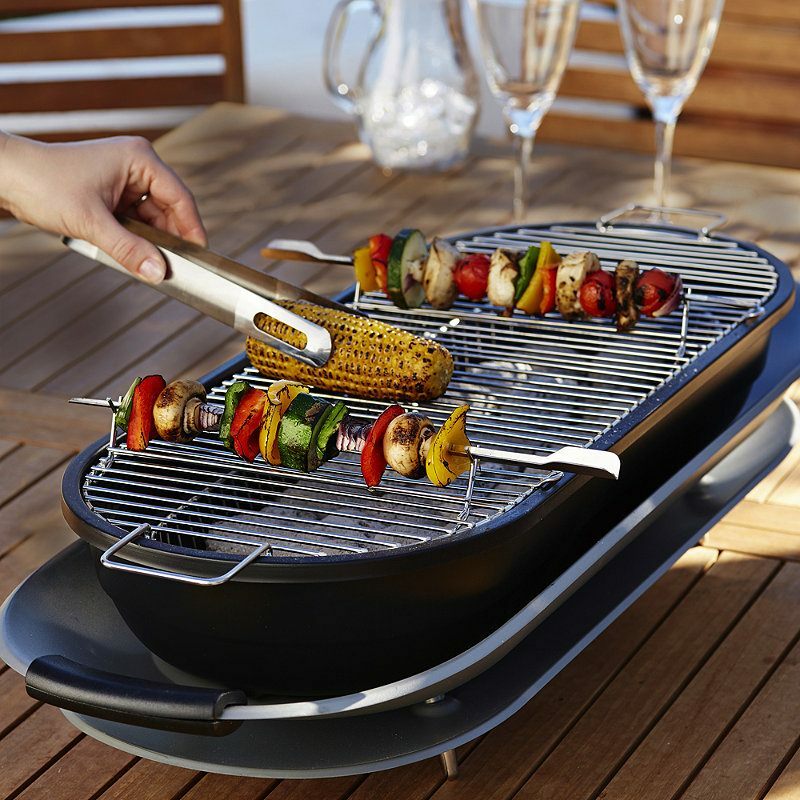 And if heading out for a night under the stars or spending an evening on the beach is one of your favourite things, you could take the Barbecook® with you – or try the Thüros® Tabletop Grill. Compact and lightweight, its stay-cool base will sit happily on a picnic table, making it the perfect piece of kit for camping or caravanning. Once you’ve got everyone round the table, it seems a shame to just serve up burgers, bangers and soggy salad. 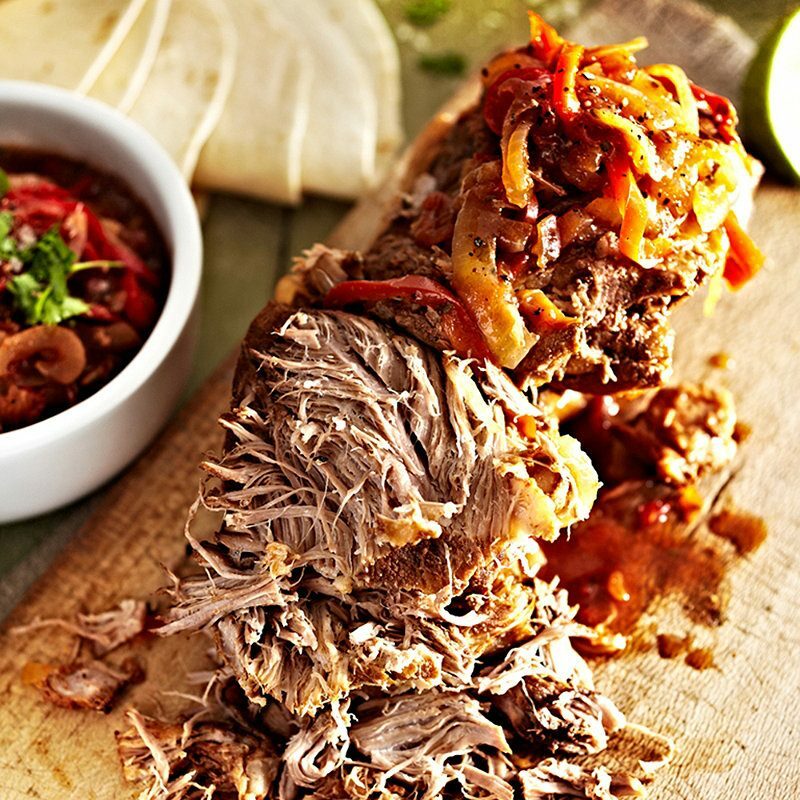 So, to fire your imagination, we’ve gathered together a whole bunch of yummy, appetising recipes. 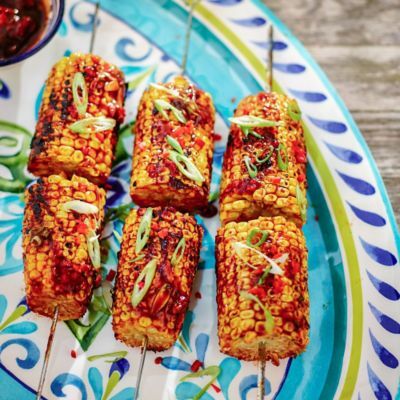 Inspired by cuisine from the Deep South to the Far East, they’ll expand your barbecue repertoire and make your garden gatherings even more memorable. Simple Summer SaladsReady, Steady, Spiralize!